The article was an overview of the annual report written by United for a Fair Economy, a Boston-based economic think tank, which does a yearly assessment of progress on Dr. Martin Luther King Jr.'s vision of justice and equality since Dr. King was assassinated by the imperialists. The 2012 report, the ninth such report, analyzes 30 years of public policy on the "racial" [national - BORO] divide and how it impacted economics, poverty, education, home ownership, healthcare and incarceration. The conclusion: although oppressed semi-colonies will be the population majority by 2042, they will also be the poorest, least educated, most unemployed and most incarcerated, with at least five million New Afrikans being held kaptive in state and federal prisons. The dreamer is correct that it is the "structures" of this system that are hindering oppressed nations from self-determination and national development. Yet he/she failed to identify the capitalist-imperialist system as the "real thing" that is the impediment to national independence and how we were to fight it. As a result, he/she implies that we can reform the system and do not need revolution to put an end to imperialism. Malcolm X once said that for New Afrikans (and other oppressed nations), the Amerikan dream was nothing but an Amerikan nightmare. Not much has changed to alter the validity of that statement. If oppressed nations are to defeat imperialism and attain self-determination and national independence, they must come to understand, in a more scientific way, that the political structure and social institutions which make up the superstructure of society have to be understood in relation to the underlying economic base (substructure) and to all of the contradictions within the economic base. Why? Because it is the capitalist-imperialist economic system that gives rise to the contradictions we call poverty, mass incarceration, homelessness, unemployment, etc. in this society. The resolution of the former, will be the beginning of the resolution of the latter. That is why we stress that we must build institutions of the oppressed to address these contradictions and prepare for a new society. But as we say in the hood and barrio, "don't nothing come to a sleeper, but a dream!" What the State of the Dream report did accomplish, was to provide the poor and oppressed with an outlook of how their future is being predicted based on concrete analysis of concrete conditions. The other is that either the imperialists are unwilling or do not have the power or capability of solving the problems we face. Thus, they are unfit to be in positions of power and influence over the people. Justice and equality in imperialist Amerikkka?? Dream on!!! 1. Powerless Majority? State of the Dream 2012 says non-Whites will still suffer as largest U.S. group," Charlene Muhammad, Final Call, 31 January 2012. 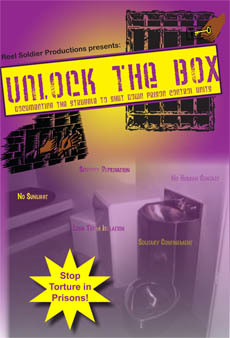 2. see Book Review: The New Jim Crow, Soso of MIM(Prisons), Under Lock & Key 24. 3. Let's Gang Up On Oppression, Owuso Yaki Yakubu, Spear and Shield Publications. Imagine being in the body of an animal who lives the zoo-life everyday for long periods of time. Waking up in the wee hours of the morning I see the same wall, same toilet and sink 8 feet from me; I feel the same back ache from last week after another night of "sleep" on a metal bunk with a 2 inch thick pissy mat. The food trap has been popped open with a loud thud - time for breakfast. As I arise from that bunk, I notice the darkness through the mesh metal covering my small window. As I stretch I jam yet another finger because I can't stretch my arms fully out. Breakfast meals become predictable: eggs, bread and a 7 oz cup of cereal. After eating my meal I go to brush my teeth and wash my face and notice the 15 to 20 year old dirt ring around the sink and toilet. So much for effective cleaning supplies. Here at Mountain View Correctional Institution in Spruce Pine, North Carolina, we never get a fresh change of clothes. Just a wash twice a week with no detergent, soap, or anything of that matter. My white shirt matches the color of my brown pants. They issue s state-ordered Black slip-on shoes despite the fact I have my own shoes, which I'm not allowed to have in isolation. My 1 hour recreation time only 5 times a week is hardly recreation in a 15x15 steel cage with no workout equipment. The only thing to look forward to is mail (if you're lucky enough to get it) and showers (which are only 10 minutes), and food trays. Don't forget looking forward to the hundreds of ants and rodents you will have to kill during the day that are living in your trash bag. As I talk to a friend, I get told by authorities to keep the noise level down. My friend is 5 doors down and everyone's talking at the same time, which will make this impossible. He closes a steel slider which has been placed over my door window - which they say is for "noise control." Everyone is still talking at the same time so, again, quieting down is impossible. Finally mail call comes. They arrive at my door with a notice of publication disapproval, yet again. This is the only mail I have coming in, yet they deny this to me, always for the same reason - "may cause violence or disorder or insurrection which is a threat to institutional security." Moreover, the department and constitutional rights and policy violations are rampant. I sign away the only thing I depend on for outside contact with the world, being that visitation and telephone privileges have been restricted. What am I to do? How about reading a book? The two I'm allowed have been read several times. After studying some material for the 5th time today, I sit and stare at the same white wall I wake up to every morning. I look down at the rib cage bones that are showing now due to the excessive weight loss from lack of adequate food. As my day winds down, I go to brush my teeth in the same dirty sink and notice against that I am forced to use state-issued hygiene when I have a tin of my own hygiene I have ordered from canteen. State-issued toothpaste, soap, deodorant that breaks my arm pits out. I see why they say the state is going broke. Even the state-issued paper I write on is a puzzling thing because I have two full 80 sheet notepads that they have denied me from having. I lay down without brushing my hair nor combing it because I'm denied those things as well. I can expect a ton of lint to be in my head due to me being denied a wave cap to cover my head. I lay! I think! Lay on the same sheets I've had for months. The same blanket I've had for months. I think of what the morning holds. I can expect the captain to come attempt to pacify me for the grievance I just wrote on foul conditions. On the notification the secretary of divisions of prisons received about these foul conditions. What will be brought up is the numerous food strikes that have occurred. The numerous occasions where the facility's "swat" team was brought in to "Rodney King" me. The property confiscation, mail stoppage. It's always been a "reminder." I could very well expect to be told to pack my things to be moved to another facility after just being moved from unit to unit to unit. Could it be better anywhere else? Will things change? I guess I'll see in the morning in this cage. You have no "freedom." You have no "rights." There is no "rehabilitation." No "correction" by the Department of Corrections. Only control, repression, depression, suicide, violence, problems. You do what they tell you to do or resist and face crucial and sometimes deadly consequences. Welcome to the zoo-life - and this is just the isolation unit of more vulnerable zoo-life. Where the morning is unwanted and the night is hell. But when the morning comes, we'll do it all again. MIM(Prisons) adds: These conditions, and the punishment prisoners face when fighting for their rights, are pushing forward the campaign to demand our grievances be addressed. In reality much of the horrible conditions faced daily by prisoners is considered legal and so can't be fought through the grievance system. No surprise in a country where we let mass murderers run the government while locking up Blacks and Latinos at astronomical rates. This is why the grievance battle is part of a larger struggle against imperialism. We won't be able to reform away this injustice, in the end only revolution will allow us to make real and lasting change in the interests of the people. Who's Leading Lumpen Peace Work? A new documentary titled "The Violence Interruptors: One Year In a City Grappling with Violence" makes this point ever-so-clear. This documentary centers on an imperialist-funded lumpen organization from the streets of Chicago whose membership is primarily made up of ex-gang members. For the most part they have all done some serious time for some serious crimes, but upon their release made a commitment to themselves and their communities that they would help stop the pointless violence that takes so many lives. These ex-gang members call themselves "Violence Interruptors," which is a reference to their pacifist tactics. They are funded by the Illinois Department of Corrections, Cook County Board of Commissioners and the U.$. Department of Justice, among others. They run the Violence Interruptors under the guise of the non-profit organization called Cease Fire. The initial idea of the Violence Interruptors program was proposed and partly funded by Dr. Gary Slutkin, who upon returning to Chicago from a medical tour of Africa saw the dire straits of the oppressed here and drew parallels to the African experience. But the organization's true roots date back to Jeff Fort, whose life centered around his leadership in a Chicago lumpen organization that had one foot in Black nationalism and one in drugs and gang banging. Carrying on Fort's legacy, Ameena Mathews, a former gangster and Jeff Fort's daughter, is a Violence Interruptor. Mathews, like other Violence Interruptors, is no stranger to the streets and sees it as her own persynal responsibility to stop the violence, even if it means putting her own life at risk. An example of this is caught on film when during an interview for the documentary that's being given inside of her home, a fight breaks out on the street. Recognizing that even a one-on-one situation has the potential to turn deadly, she immediately rushed out to try and bring peace to the quickly-growing crowd. While attempting to calm everyone down, a young man saw a rock hurling at his cousin and sacrificially put himself in the line of fire to protect her. He was hit in the mouth. Afterwards threats are made with the promise of gunplay to come, but Mathews quickly ushers the victim away and tells him that he's the real gangsta because he defended his family and defending their families is what true gangsters do. Eddie Bocanegra, aka "Bandit," is another Violence Interruptor who did 14 years for murder, but who, during his imprisonment, went thru a period of reflection. He recognized that he not only fucked up his life but that of his family and the family of the person he killed. Now on the streets Bandit admits to having identified pride with his gang but now sees that it was all pointless. Besides being a Violence Interruptor, Bandit also visits schools across Chicago in an attempt to counsel oppressed nation youth who might find themselves in similar situations to the ones he once did. In the film, a delegation from South Africa requested to meet the Violence Interruptors during a recent visit to the United $tate$ in order to find out their secret to keeping the peace. Yet, the delegation became critical of one of the Interruptors' policies, which is to never involve the pigs in the community's affairs. The delegation argued that the Interruptors were not "neutral enough." The Interruptors responded that this was the reason that they were so effective within the community, because the community knows they can confide in and trust the Interruptors with their problems without the fear of being sold out. Certainly the masses are correct to think this way. Problems that arise within the community should be dealt with by the community. To bring in the pigs is only to justify the oppression and occupation of the internal semi-colonies and oppressed communities. The potential problem we see with the Interruptors is that the state is happy to fund them as independent mediators for small meaningless violence, but how do the Interruptors deal with community organizations that are not state-funded, and may come into conflict with the state? The Interruptors present themselves as an independent force, but their funding tells us otherwise. One indication of the Interruptors' reputation with the community occurs when the family of a young murder victim receives word that his funeral is gonna be shot up by gang members looking for their original target. So seemingly effective and revered are the Interruptors that the murder victim's family calls them to provide security instead of the police. At the end of the ceremony, Ameena Mathews gives a fiery speech in which she righteously calls out all the gang members in attendance and struggles with them to "get real" with their lives because that dead body they were all there paying their respects to was certainly real, and "it don't get more real than that!" While the documentary was being filmed, sections of the Woodlawn neighborhood, an epicenter of violent drama, came into conflict over a plan to militarize Chicago using the National Guard. The plan was developed by politicians with some members of the community. By building a real, independent peace in oppressed communities, we can eliminate the divisions within oppressed communities triggered by the wild behavior of lumpen youth and form a united front to keep the state's occupation out. The section of the community that spoke out against the call for militarization knows that the National Guard will not provide more safety, only more oppression. This shows that just because the state has gotten smarter about how to control its internal semi-colonies does not mean that they no longer see the need for armed force. Jeff Fort and the Almighty Black P. Stone Nation's peace activism legacy lives on in the new federally-funded Violence Interruptors. Similarly, the once largely popular efforts of the Gangster Disciples to hold peace summits in Chicago has evolved into a project that works closely with the political machine of the state. Amerika has proven unable to solve the problems that have plagued the ghetto for generations. While Amerika was worried about what the Stones or the GDs might become, they were scared of what the Panthers already were. They drugged and shot Fred Hampton at age 21, while they eventually sent Fort and Larry Hoover to supermax prison cells with very limited contact with the outside world. While Barack Obama has thousands of people murdered across Africa and the Middle East, we see the level of criminality one must have to become a successful Black leader out of Chicago in this country. The imperialist-funded non-profits use pacifism for the oppressed, while painting mass murder for the oppressor nation as "spreading democracy." Many think that the Violence Interruptors have people power, but in fact they do not, for they wouldn't even exist if they didn't have the blessing of the oppressors. While the short-term goal of the Interruptors is to "stop the violence," the long-term goal of the oppressors in creating the Interruptors is to stop the violence from spilling over onto themselves. They do this by not just co-opting grassroots attempts by the people to overcome their oppression and bring peace to the hood, but by creating organizations such as the Violence Interruptors which in the final analysis are nothing more than sham organizations; it is the bourgeoisie laughing at us. In the Third World the bourgeoisie forms shadow organization and calls them "communist" in order to split the people and stop them from launching a People's War. In the imperialist countries, like here in the U.$., they either co-opt or infiltrate and wreck those organizations already in existence. While the Panthers were given nothing but the stick, the Stones themselves were easily distracted from the path of the Panthers with the carrot of a little money from the War on Poverty. After destroying any independent mass movements, the imperialists allow and even encourage groups that promote integration or confuse the masses. While it is true that there is only so much that we can do for the betterment of our class given our current position as oppressed nations within the belly of the beast, we must also recognize the importance of social consciousness on social being and stop letting the circumstances of our imprisonment both in here and on the street dictate to us the confines of our reality. We must come together and build our reality. We must come together and build our own institutions that are there to serve us; institutions of the oppressed. The Black Panthers had this power and we can too. We must learn to reject the bourgeois notion of power, which is only crude power and serves to oppress and exploit. This type of power is currently exhibited by many LOs, both in here and on the streets. While commending those individuals within the Violence Interruptors who really are trying to do their part to stop the violence, we must also draw a clear line between fighting for self-determination of the oppressed and serving as the friendly face of the imperialist state. We need more allies on the streets doing this work in support of the efforts of MIM(Prisons) and USW in building peace on the inside. Only by building our own institutions of the oppressed will we truly be able to stop the violence that takes so many lives and keeps a substantial portion of oppressed nation youth behind bars. All Power to the Oppressed! 1. The Black Power Mixtape 1967-1975, 2011. 2. Associated Press. More black, Hispanic men in prison cells than dorms. 27 September 2007. 3. Natalie Y. Moore and Lance Williams. The Almighty Black P Stone Nation: The Rise, Fall, and Resurgence of an American Gang. Chicago, Lawrence Hill Books: 2011. In this issue of Under Lock & Key we are featuring reports from comrades in a number of states who are leading efforts for a campaign to have prisoners' grievances heard and responded to by state officials and employees. This campaign has continued to grow in popularity, with minimal effort by MIM(Prisons), yet many have not yet heard of it and there is much room to expand. For all who remain inspired by the recent efforts of California and Georgia prisoners, but feel your conditions are not so advanced, we suggest you work on the USW-led grievance campaigns to start getting people organized in your area. File grievances on the problems you face where you're at. Get people around you to file grievances. Appeal your grievances to the highest level. If your grievances go unanswered, organize people around you to sign and mail out grievance petitions created by USW, distributed by MIM(Prisons). Send follow-up letters periodically to check on the status of your petition. Send responses to the grievance petition to MIM(Prisons). If your state is not yet covered by the grievance petition, but your grievances are going unanswered, translate the petition to work for your state. This requires looking up citations and policies, and figuring out who would be best to send the petition to. While getting grievances responded to is essentially an exercise in reformism, we see promise in these efforts because they struggle to give voice to some of the most oppressed. This is a democratic struggle in a part of the United $tates where the least amount of democracy exists. Amerikans will tell you that's the point, "you do the crime, you do the time." But we disagree. We don't think the U.$. prison system has anything do with justice or applying objective societal rules to its citizens. The simple fact that about half of all U.$. prisoners are New Afrikan, while only 12% of the U.$. population is, disproves that theory in one fell swoop. In general, the oppressed nations have seen an increase in democracy in the United $tates, yet for a growing segment of these nations, their rights are lawfully being denied. For those who have committed real crimes against the people and should spend time in prison by proletarian standards, we think a program of reforming criminals requires accountability on both sides. Some have pushed for campaigns to give prisoners voting rights as a method to increase prisoners' democratic rights. But we see imperialist elections having little-to-no bearing on the conditions of the oppressed nations. In contrast, we see the grievance campaign as a democratic campaign that we can support because it can actually succeed in giving prisoners more say in their day-to-day conditions. The grievance campaign to which we are referring was originally sparked by some comrades in California in January 2010. Since then it has spread to Arizona, Colorado, Missouri, North Carolina, Oklahoma, and Texas. The petitions are updated regularly based on feedback we get from those using it. The three states which have been particularly active lately are Texas, North Carolina, and Colorado. The Colorado campaign kicked off just before recent reforms were enacted in the Colorado system as a result of passive resistance by the prison laborers being used in large-scale industry there. Similarly, Missouri's petition is specific to their conditions of censorship around a relatively new policy banning music with parental advisory ratings. In this issue, there are two reports out of Texas, showing the varying levels of organization within a state. One comrade in Connally Unit reports of a mass demonstration. (page X) While another comrade has diligently filed the maximum grievances he can for almost two years, he has proved this road to be fruitless by himself. (page Y) But what is the lesson here? Are our efforts worthwhile? We say there are no rights, only power struggles. We already know that the injustice system is going to abuse people; it is made to control certain populations. In order to win in a power struggle, the other side must feel some sort of pressure. Sometimes one grievance to a higher level is enough to apply pressure. But when the higher level is involved in the repression, it's going to take a lot more than one persyn's grievance. Look at the example of the Scotland lockdown. (page Z) One comrade reported that grievances were being ignored, as has been common in Scotland before the lockdown. But we hear from ULK correspondent Wolf that a combination of complaints from prisoners and outside supporters resulted in an improvement in conditions, however small. This is parallel to the petition to End the High Desert State Prison Z-Unit Zoo, which met some success last year. We think the grievance campaign is a good stepping stone for comrades who say unity and consciousness is lacking in their area. As we know from reports in ULK, the conditions in most prisons across this country are very similar. So the basis for mass organizing should exist even if it requires some hard work to get started. Circulating a grievance petition doesn't require a lot of people to start, and just about everyone can relate to it. One USW leader involved in the original campaign in California came out to question the effectiveness of the tactic of signing petitions and sending them to state officials and legal observers. S/he proposed moving into lawsuits to get them to pay attention, particularly after one CDCR staff member implied they wouldn't address any complaints without a lawsuit. As John Q. Convict points out, there are also connections still to be made between the grievance campaign and media access in states like California to create more accountability for the captors. The best tactics will depend on your situation, but the petition is a good place to get started and to test out the waters. This work is not just a way to bring allies together locally, but is connecting struggles across the country. One Massachusetts comrade was inspired by the efforts of a Florida comrade who was having trouble mobilizing others and wrote in to tell h: "To my Florida comrade, I want to tell you to stay strong." S/he went on to quote Mao, "In times of difficulty we must not lose sight of our achievements, must see the bright future and must pluck up our courage." Of course, oppression will always exist under imperialism, because it is a system defined by the oppression of some nations by others. And we cannot hope to use reforms to fix a system that tortures people and then ignores administrative remedies to cover their own asses. (page B) But we must begin somewhere. And the grievance campaign encompasses many of the little battles that we have all fought just to be able to read what we want, talk to who we want, and have a voice in this society. I'm writing to you in hopes of receiving relief or at least a thorough investigation into the matter of a grievance I filed. It's an appeal to a disciplinary case I received on November 2, 2011, for allegedly "Threatening an Officer," which was completely false and untruthful. At approximately 3:00AM on November 2, Officer Nwanko let inmates out for breakfast. Because he didn't give prior notice, as standard procedures, a lot of inmates were caught unaware. Officer Nwanko was closing prisoners in their cells for not being ready. A college class I was taking started at 5:00AM I explained this to the officer but was ignored. It was during this time that other prisoners who were stuck in their cells were hollering to get out for chow and AM lay-ins, and were cursing the officer. Officer Nwanko proceeded to let out 3rd row, then left. On his way out the door, another prisoner made a comment for which I was written up. After he finished letting all the inmates on the pod out, he went to the front desk and called for rank. Officer Nwanko explained that someone made the threat, but had no knowledge who the offender was that made the threat. He stated "When I was leaving, 35-cell (my assigned cell), was trying to get back in to get a school pass, ask him." Because of this statement, I was called to the front desk where I was then confronted by Lt. Davis and Cat. Graham, who both ask me about the threat made to the officer. Lt. Davis wanted to know who made the threat against the officer. When I had no knowledge, Lt. Davis made it quite clear that unless I told them what they wanted to know, that I would be locked up, and charged with threatening an officer. The officer was instructed to write the case, knowing this to be false and untruthful. During my disciplinary hearing, the charging officer didn't have his story straight. The security tape will refute his testimony which the hearing officer relied on in finding me guilty of the charged offense. He stated that as he came down from third row, I intercepted him and proceeded to follow him. I requested that the security tape be made available for review, for that day and time that this alleged threat was made against this officer by me. The footage will refute the charge and discredit the charging officer's false testimony. The hearing officer refused my request for this security tape to be presented in my defense. I never threatened this officer, nor approached this officer at any time, as the tape will substantiate. Despite the credible defense evidence of the existing tape, I was found guilty by the officer. The appeal process was equally unsuccessful. This greatly affected my chances for parole consideration, as the board relies heavily on what the "papers" say not on truth/or ones claim of innocence. Any input by you will be appreciated. MIM(Prisons) responds: This comrade sent a copy of his grievance petition looking for our assistance. Unfortunately MIM(Prisons) doesn't have the resources to help with each individual battle against injustice like this one as there are so many going on in the Amerikan prison system. But we encourage everyone to participate in the campaign demanding our grievances be addressed as a systematic way to deal with this problem. Of course addressing grievances still won't put an end to the injustice in the criminal injustice system. But it will help prisoners like this one shorten their time behind bars and create more organizing space for anti-imperialists building the movement behind bars. Seeing as I am SNY [Special Needs Yard], I'm compelled to put forth a few words on this matter. I've met many folks who neither "debriefed" nor snitched on anyone. After so much time on these lines, just how much b.s. can one person take? Unnecessary politics and needless racial tensions get old. That opinion is being held on the line. When young people get to prison and hear this type of talk, of course they will go SNY when confronted with an issue that will jeopardize their freedom or personal health and well being. Why fight a battle that the leaders are clearly undecided about? To blame this or that generation is neither manly nor responsible, it's downright cowardly. Everyone is to blame and once an individual recognizes that there are responsibilities and duties to be upheld, that whether SNY or not, let him be a man and uphold those responsibilities and duties. Stay in your own land and quit trying to tell the next man what you think he should be doing. There are recriminations coming from this side (SNY) that there is more telling on the line than anyone will ever let on. The point is: get the beam out your own eye before you can get the speck out mine. MIM(Prisons) responds: There has been a lot written about the SNY in the pages of Under Lock & Key as prisoners line up firmly on one side or the other of the debate over whether SNY prisoners can be revolutionary comrades. Our position falls in line with what this prisoner writes: we want people to demonstrate their commitments to the struggle through action. There are many reasons why people go to SNY, and not all of them snitch or debrief. Similarly, there are many mainline prisoners who snitch or work with the guards in other ways. So we must judge each person, SNY or not, by their actions. As an active outstanding member of the Growth & Development struggle down in Texas, I feel it's my duty to speak up on the article "Criticism and Good Communication Helps Us Grow and Develop" by Ras Uhuru in ULK 24. In the vision of our great leader, growth starts on an individual level; to reach the great discovery you got to have self-growth. Once you reach that then as a nation, as a movement, we can develop. That's where the three Ds come in - Dedication, Determination & Discipline. The three Ds in self are three keys to reaching development. Our great leader tells us to let these concepts reside in our hearts & be guiding light for us. Everyone wants to change the world but our honorable chairman tells us revolution starts with self: educate yourself, be dedicated, determined & disciplined, grow as individuals then we can develop as a nation. That's the "Blueprint" and the 21st Century concepts for GD are all based on this. I wouldn't say we are a revolutionary organization but fo'sho' we are political and struggle and strive for success in everything we do. To the Revolutionary Gangstas, I preach that to you brothers, regardless of all else, always strive & struggle for success. Educate yourself on the new concepts of GD. As for Ras Uhuru, the Growth & Development movement is obviously something you don't have a full understanding of either because the four stages of GD start at Gangster Disciple and end in a Great Discovery. Maybe these brothers in South Carolina have not reached past the first stage of GD. But to be aware is to be alive and so I strongly advocate that all of these brothers from Mr. Uhuru on down to the Revolutionary Gangstas educate themselves about a movement before speaking up on it. The Growth & Development is FOC - For Our Children, For Our Community, For Our Cause. 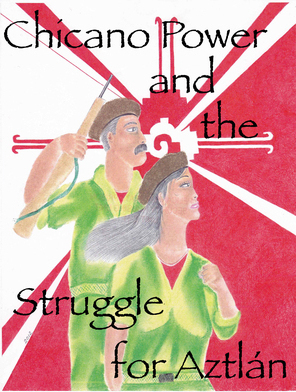 The new struggle is for education, politics, economics, unity, organization & social development. Get on point brothers and keep ya shields up and your swords sharp, and always seek and share in the vision of our great leader - Free King Larry Hoover! MIM(Prisons) responds: First, we hope everyone can agree that Under Lock & Key is not the place to have internal debates within other organizations. If there are disagreements within a group about what the group should stand for, those debates should happen within those organizations' own independent means of communication. At the same time, we print statements from other organizations to establish where MIM(Prisons) has unity with them, and to struggle where we disagree. This is a key principle to ideological development for all of us. We printed the article by Ras Uhuru in particular because we thought it brought up an important concern, which is that we should promote unity whenever it exists. Ras Uhuru's criticism of the Revolutionary Gangstas statement was that it could be read as an implied criticism of Growth & Development, but without any substance. We agreed with Ras Uhuru on this and printed h article in response. Ras Uhuru also felt that the Revolutionary Gangstas should be working for better understanding and unity within their organization as opposed to forming a new organization. This may or may not have been good advice, as this would depend on the conditions these comrades faced on the ground. As for the position of the responder above, we agree that one must educate oneself first, and that struggling within allows for greater unity with others. This is also true for organizations, which must develop greater internal understanding and unity before they can ever unite with others (see Ras Uhuru's article on United Front). While pushing many positive principles that align with the United Front, the author above states clearly that s/he does not see hself as part of a revolutionary organization. This is a good example of what a United Front looks like. There are clear differences between MIM(Prisons) and GD (even if this author's vision is disputed by others). And yet we can agree on the certain key principles that we both think will further the goals of our respective organizations. It just so happens that "Growth," the third principle of the United Front addresses this point. The United Front principle of "Growth" states in part, "We support members within our organization who leave and embrace other political organizations and concepts that are within the anti-imperialist struggle." So we are not idealistic in promoting unity; we know that sometimes groups will not want to unite with us even if some of their membership does. We know individuals will leave organizations, and sometimes whole organizations will split. But this should be done in a principled way, with clear political explanations and an attempt to maintain good relations as long as we are all still moving in the same general direction as a United Front. Attention oppressed nation citizens and anti-imperialists: the first "Black" president of the United $nakes, Barack Obama, has signed into law one of the most fascistic pieces of legislation ever in the history of this country: the 2012 National Defense Authorization Act (NDAA). The NDAA has many statutes within it, but here's the gist of the act: It allows the Pentagon/military of the U.$. to determine who is or could be a "terrorist" or an "enemy combatant." It allows those so deemed to be detained in prison indefinitely without a trial and to be kept under its complete jurisdiction. It makes no difference whether the said persyn/group(s) are U.$. citizens or "firing" enemies, and the entire U.$. is now considered a field of combat. With the enactment of the NDAA, military law and courts supersede the civilian judicial system over those persyns being held for violations under NDAA. So by defining the entire country as a field of combat, all the Pentagon has to do to exercise its organized force is to get the standing President to give his okay. The reality is that the so-called "Supreme Law" of the land, the U.$. constitution, is null and void in these cases and all of its so-called "protections," i.e. to no cruel and unusual punishment (torture, etc), due process, and so on, are denied. The implications of the NDAA are far-reaching for anti-imperialists involved in struggles for national liberation and independence of oppressed nations inside of U.$. borders and beyond. There are a few key facts revolutionary nationalists and communists must keep in mind: 1) a united front against imperialism, led by the international proletariat, will be necessary to defeat the imperialists; 2) bourgeois electoral politics are a political sham; 3) there is no such thing in Amerika as "freedom of speech," so watch what you say; 4) independent institutions of the oppressed are a must if we are to meet our needs; and 5) nothing short of a socialist revolution will solve the problems facing poor and oppressed nations. Reminder: there are no rights, only power struggles! MIM(Prisons) adds: There is a reason why we don't call the U.$. a fascist country, even though fascism is enforced by U.$. imperialism in parts of the Third World and even against some sectors of the internal semi-colonies where the NDAA is nothing new or surprising. A key fact we might add to the list above of things to keep in mind is that the majority of Amerikans support the system that has awarded them so much privilege compared to most people in the world. This popular support and stability at home is why fascism has not yet been instituted inside U.$. borders. What laws like the NDAA indicate is that the imperialists are prepared to lead the way in a fascist direction. Many throw the word "fascist" around thanks to Amerikan ahistorical thinking that uses "fascist" as an insult for anything it disagrees with. We uphold Dimitrov's line that fascism is "the open terroristic dictatorship of the most reactionary, most chauvinistic, and most imperialist elements of finance capital." It is not simply brutal repression, which is carried out by political powers of many sorts. For more on the scientific definition of fascism get MIM(Prisons)'s Fascism Study Pack available for $2. Pursuits of justice for religious rights are maliciously being hampered and restricted within the Lovelock Correction Center (LCC) in Lovelock, Nevada. Prisoners fighting religious repression are becoming victims of retaliatory transfers to the maximum security High Desert State Prison; a facility reputed for physical abuse, assaults, and beatings by its staff. High Desert State Prison has been and continues to be a deterrent to and punishment for filing grievances and lawsuits against the misconduct and constitutional violations being perpetrated and committed by LCC staff. In 2009 six prisoners housed at the LCC were transferred to High Desert State Prison after filing grievances against Lovelock staff for destroying the worship place of their earth-based religious practices. In 2011 a single individual was also transferred to HDSP for his pursuits against the Nevada Department of Corrections in relation to his Jewish practices and the LCC law library conditions. Most recently, on March 6 2012 SAMAEL lost a member after he was transferred to HDSP. This prisoner had recently filed suit against several Lovelock CC staff in response to religious discrimination and abuse. Threats of retaliation and actual events of retaliation are an ongoing and increasingly recurring tool of intimidation and abuse used by the Lovelock staff as well as at other Nevada institutions. Toleration of such actions must be eliminated and opposition must arise from the ranks of all voices willing to scream justice! Justice! Justice! SAMAEL speaks out and calls for aid against retaliation. One's voice may be heard, but many will cause revolution! Let your voice join in. MIM(Prisons) responds: This is another good example of the failure of the grievance systems in Amerikan prisons, which pretend to offer prisoners a way to fight for their legal rights and hold prison administrators to their own rules. In reality the grievance process often only serves to identify the "troublemakers" who expect prisons to follow their own policies and are willing to speak out when this is not done. Then grievances can be ignored and prisoners filing them punished for their efforts. Even though this is how filing grievances plays out in many circumstances, we also know from our own experience that “playing by the rules" occasionally leads to significant improvements, although often temporary, in our ability to organize for our ultimate goals. While our movement is too weak to take on the oppressors in armed struggle to overthrow the underlying causes of the corrupt grievance systems, we must continue to use legal means of redress to make and keep space for our movement to grow. This is why we have supported a grievance campaign to demand our grievances be addressed. We have petitions for the following states: Arizona, California, Colorado, Missouri, North Carolina, Oklahoma, Texas and Virginia. Write to us for a copy, or if you are in a state without a petition volunteer to modify a generic petition to meet the legal requirements of your state. To get involved, see USW campaign info here. This is AR-15 of USW. My new LO's name is Magnanimous Peace Manifesto Movement. 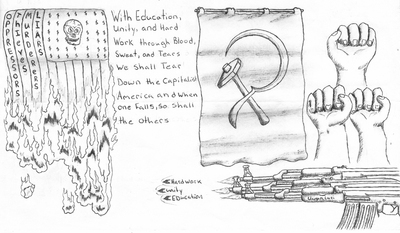 As a lumpen organization, we are devoted in uniting together for world socialism and peace in prisons and the world beyond these walls and gates. We agree to uphold the statement of principles set forth by MIM(Prisons) and our fellow comrades in this United Front for Peace in Prisons. As the founder of this organization, I began by addressing the needs that needed to be addressed in the control unit known as the "Intensive Supervision Unit" (ISU) here at the Cimarron Correctional Facility in Cushing, Oklahoma. I spoke to the contract monitor from the Oklahoma DOC and our unit team about what needs to be done in order for prisoners to succeed in our struggle for betterment. This treaty has been placed into action as of 20 May 2011. To this end, revolution is on the rise! The Magnanimous Peace Manifesto Movement was formed to promote better growth and development amongst our comrades. Though educational work is a part of our mission, we represent peace, unity, and growth. We believe that there can be no achievement without sacrifice, and a man's worldly success will be in the measure that he sacrifices his confused-animal thoughts and fixes his mind on the development of his plans, and the strengthening of his resolution and self-reliance. He who would accomplish l title must sacrifice little, he who would achieve much must sacrifice much, and he who would attain highly must sacrifice greatly. MPMM is focused on reforms within all U.$. prisons because we've all (Lumpen Organizations) come together as a collective whole in a United Front for Peace. We uphold the Statement of Principles established by MIM(Prisons) and other Lumpen Organizations in the United Front for Peace.